ION Orchard kicks off its Culinary Creations 2016 campaign with a cosy indoor picnic at B4 ION Station, bustling with activities over the 15-17 July weekend. 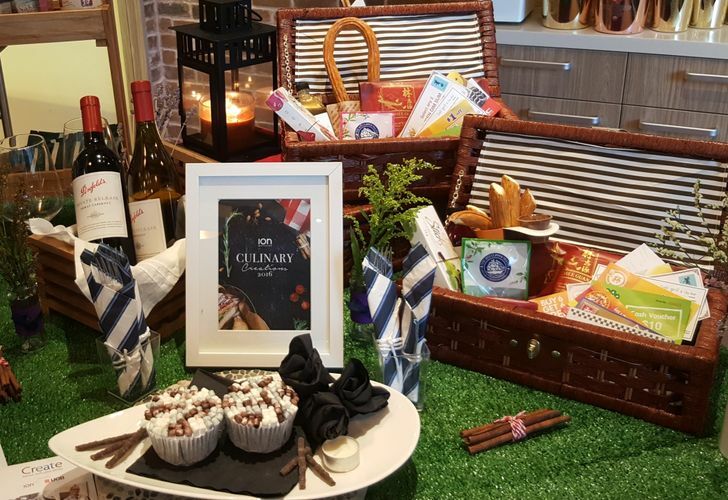 The indoor picnic is a key highlight of ION Orchard’s Culinary Creations campaign and brings fresh and unique retail experiences to shoppers. Star-studded events with local celebrities and a line-up of exciting culinary workshops, wine appreciation and food samplings by well-loved brands – Putien, Wrap & Roll, Food Opera, 4 Fingers Crispy Chicken, Watami, Mr Churros and Nara Thai will enliven the unique indoor alfresco dining experience. The contemporary picnic garden, exquisitely styled by Crate and Barrel, promises the perfect laid-back picnic experience in its air-conditioned glory and lush greenery with picnic mats, benches and of course, a basket full of scrumptious delights to share with friends and family! Shoppers who spend a minimum of $50 at any F&B stores at ION Orchard can redeem an exclusive picnic basket filled with dining vouchers, picnic essentials, snack packs and the ION Orchard dining booklet worth up to S$150, with treats from well-loved brands such as Häagen-Dazs, Putien, Lim Chee Guan, Dunkin' Donuts and The 1872 Clipper Tea Co. In addition, they will also receive a code to redeem $10 off their first Uber ride. For tourists, the first 50 overseas visitors daily will get food picnic basket for free, upon presentation of a foreign passport at the garden.